As the leading provider of technology to extend, automate, and integrate with Blackbaud® software, Omatic wants to work with you to help your clients achieve success with their Blackbaud solutions. As an Omatic Partner, our goal is to support you in developing the business confidence to share the value of Omatic products with your clients. Omatic will work with you to help your clients achieve success with their Blackbaud solutions. Whether you are interested in becoming a technology partner, consulting partner or co-marketing partner, there are a number of partnership opportunities and we would love the chance to find the best fit for you. Connect with a Partner Representative today to explore the possibilities. At accesso, we believe technology has the power to redefine the guest experience. Our patented and award-winning solutions drive increased revenue for attractions operators while improving the guest experience. Currently serving over 1,000 clients in 30 countries around the globe, accesso’s ticketing, point-of-sale, distribution and guest experience solutions help our clients streamline operations, generate increased revenues, improve guest satisfaction and harness the power of data to educate business and marketing decisions. accesso is a public company (ACSO), listed on AIM: a market operated by the London Stock Exchange. Bill Connors, CFRE, bCRE-Pro, is an independent consultant and trainer on Raiser’s Edge and author of the book Fundraising with The Raiser’s Edge: A Non-Technical Guide. Bill was Principal Consultant for Fundraising Systems for Blackbaud, having helped found the Blackbaud consulting program in 1998. He has been providing consulting and training on Raiser’s Edge worldwide since 1995. Bill helps organizations in all nonprofit and education verticals with all aspects of Raiser’s Edge. Blackbaud (NASDAQ: BLKB) is the world’s leading cloud software company powering social good. Serving the entire social good community—nonprofits, foundations, corporations, education institutions, healthcare institutions and individual change agents—Blackbaud connects and empowers organizations to increase their impact through software, services, expertise, and data intelligence. The Blackbaud portfolio is tailored to the unique needs of vertical markets, with solutions for fundraising and CRM, marketing, advocacy, peer-to-peer fundraising, corporate social responsibility, school management, ticketing, grantmaking, financial management, payment processing, and analytics. Serving the industry for more than three decades, Blackbaud is headquartered in Charleston, South Carolina and has operations in the United States, Australia, Canada and the United Kingdom. Capital Business Solutions provides consulting, training, programming, sales and setup services for Raiser’s Edge and Financial Edge. With over 20 years experience, Capital Business Solutions delivers services that will make your transition a success and prepares your staff for how to get the most from your system. Founded in 2008, Cathexis Partners helps nonprofit organizations implement and use technology to raise funds and spread the word about their mission more effectively and more efficiently. Our services include CRM, CMS, and peer-to-peer fundraising software implementation and ongoing support, website development — including responsive design, integrations, implementation, CSS/template deployment, social media integration, and strategy, custom software training, database management, reporting, IT consulting, online fundraising campaign strategy and execution, and project management. Cause and Solution was built by a team of fundraising, finance and operational professionals with over 60+ years of real-world experience in non-profit development, strategy, and managed support services. Lead by CFREs and CPAs, Cause and Solution offers flexible services that allow foundations to spend less of their time on technical implementations, database management, system integrations and migrations, gift processing, reporting and managing complex accounting systems so that they can spend more of their limited resources on raising funds for their causes! We are experts in designing, managing and implementing a wide variety of Blackbaud products to meet each non-profits’ unique needs. Classy is a social enterprise that creates world-class online fundraising software for nonprofits, modernizing the giving experience to accelerate social impact around the world. Since 2011, fundraising on the Classy platform has doubled each year—resulting in thousands of nonprofits collectively raising over a billion dollars. Based in San Diego, CA, Classy is trusted by organizations of all sizes, from the fastest-growing nonprofits like Team Rubicon and The Trevor Project, to some of the world’s largest social organizations, such as The Salvation Army and Shriners Hospitals for Children. For more information, visit www.classy.org or follow Classy on Twitter @Classy. CrowdRise by GoFundMe is the world’s largest crowdfunding and event platform dedicated exclusively to charitable fundraising. Used by tens of thousands of nonprofits, hundreds of companies, and some of the biggest events in the world, CrowdRise by GoFundMe. TeamDNL is a full-service creative technology agency; we work exclusively with nonprofit organizations. We specialize in WordPress, Drupal, Blackbaud, & Salesforce implementations, customizations, and integrations for social good. DonorDrive helps nonprofits to raise more money through peer-to-peer fundraising software, marketing services, and award-winning websites. For 20 years, DonorDrive has helped organizations like Mothers Against Drunk Driving, Children’s Miracle Network Hospitals, American Foundation for Suicide Prevention, and Arthritis Foundation to raise more than $1 Billion. 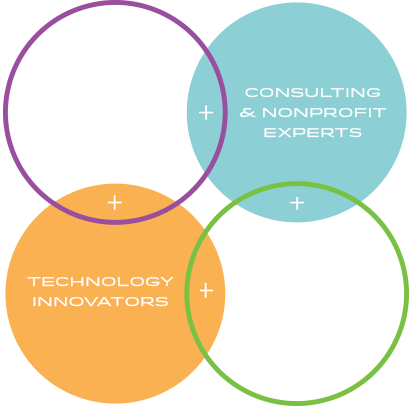 We provide digital, data, and strategic services to help non-profits enhance their online fundraising, marketing, and communications. Our most popular services relate to Luminate Online, TeamRaiser, digital strategic planning, social media engagement, websites, P2P event websites and data analysis. There’s an unnecessary gap between fundraising organizations and corporate giving programs. Double the Donation aims to close that gap. We help nonprofit organizations and educational institutions increase fundraising from corporate matching gift and employee volunteer grant programs. 360MatchPro, the industry-leading solution from Double the Donation, fully automates matching gift fundraising. This platform provides nonprofits with tools to identify match-eligible donors, drive matches to completion, and gain actionable insights. 360MatchPro integrates directly into donation forms, CRMs, social fundraising software, and other nonprofit technology solutions to capture employment information and follow up appropriately with donors about matching gifts. 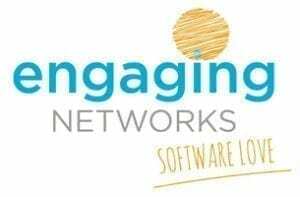 Engaging Networks is a powerful eCRM solution that more than 400 nonprofits around the world use to power their email marketing efforts, online advocacy and fundraising campaigns and pages, events and peer-to-peer fundraising activities. Our clients include National Wildlife Federation, Human Rights Campaign, Friends of the Earth, Oxfam Canada, Big Brothers Big Sisters of America, Amnesty USA + International, Human Rights Watch, Humane Society International, UNHCR Canada, Physicians for Social Responsibility, Consumer Reports, the Pew Charitable Trusts, Ocean Conservancy, National Park Foundation, and the World Food Program, to name a few. Engaging Networks is also used by Greenpeace (across 30 countries), PETA USA + International, World Animal Protection (in 12 countries) the Canadian Red Cross, and many others internationally. Since 2001 eSimpleIT has been partnering with Canadian Charities and nonprofit organizations to deliver end to end, fully integrated business process and data management answers to everyday data and reporting needs. As a process, technology and organization partner, eSimpleIT delivers solutions through a structured approach: identify, analyze, optimize, develop, implement, train, on-going maintenance and support. eSimpleIT specializes in solving business process as well as people and data connection challenges delivering end to end, documented business solutions. We help our clients make the world a better place. Our mission is to help nonprofits raise more funds, more efficiently so that they may focus their time, effort and money on the great work that they do. Fiona Brown Consulting is the independent leader in high speed optimization of Blackbaud’s flagship products. We provide cohesive – end-to-end – configuration, data management, best-practice processes, custom reporting, user training and project management services for Raiser’s Edge, Financial Edge, Online Express, and Luminate Online. Firefly Partners has been delighting progressive nonprofits with tailored digital marketing solutions since 2008. 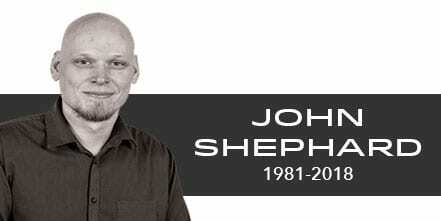 Count on our experts to solve tough strategic and technical challenges with the right mix of optimism and pragmatism. Our services – from engaging web design to custom peer-to-peer development, email marketing strategy to performance analysis – deliver results and move organizations forward every day. For over a decade FrontStream has helped charities and companies raise money, engage employees, and make a positive impact in their communities. Over 10,000 nonprofit and corporate customers use FrontStream’s Panorama platform for donor management, auctions, charity events, peer-to-peer and online fundraising, employee giving, volunteering, and matching. FrontStream is headquartered in Reston, Virginia and has operations in the United States, Australia and Canada. Having spent many years in the fundraising field, Lauren knows what frontline fundraisers and administrators need to do their jobs effectively. As a Raiser’s Edge consultant, she is able to harness the power of Raiser’s Edge™ and other Blackbaud products to creatively address the needs of Raiser’s Edge clients. She specializes in one-on-one training, custom reporting, push-button reports for staff with little or no Raiser’s Edge training, automatically generated thank you letters, informative dashboards, effective event tracking systems, and many other functions. Under the leadership of Sandy Wilder, bCRE-Pro, bCFE-Pro, Leading Edge enjoys recognition as a Blackbaud Solutions Provider. our experienced staff has trained thousands of users and consulted with hundreds of organizations around the globe. We are sincere in our efforts to help you customize The Raiser’s Edge and/or The Financial Edge to your unique fundraising and business models. Sandy is widely recognized expert on Blackbaud’s products and is a frequent presenter at BBCon. * Do you need temporary help with gift processing? We now offer remote gift processing services! * Are you interested in or planning to transition to RE NXT? * Has staff growth or turnover created a need for Raiser’s Edge training or Financial Edge database clean-up or training? * Could your organization benefit from an expert audit of your database to identify inconsistencies or underutilized areas of the program? * Do you need a policy and procedures manual, but don’t know where to start or have time to develop it? * Could your staff return more time to mission with recommended best practices? * Are your stakeholders asking for increased accountability and transparency in reporting? * Do you need help understanding and implementing an integration of the two databases (as designed) to eliminate duplicate data entry and improve interoffice reconciliation? From digital and print products, online giving, church management, community building, leadership coaching, and stewardship resources, we partner with churches and non-profits so they have more time to engage their community in the work they do. Our goal is to equip our customers with innovative communication and community engagement solutions to lead people to become part of their mission – resulting in continuing participation and support. We’re ready to help you connect with people in your community by implementing tools proven to work, and supporting you with effective best practices learned from our 45 years of serving our 6,000+ parish and non-profit partners. Yes! It is possible to plan and manage a wildly successful nonprofit technology project! Maybe you are struggling with legacy systems, or perhaps you just finished an implementation and things aren’t running as smoothly as you expected. Or you’re overwhelmed by the task of managing a technical project in addition to your day job. 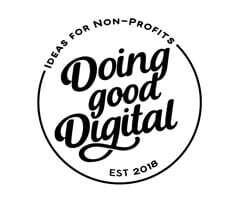 More than seventeen years of working inside nonprofit organizations, and another ten years leading a digital agency for nonprofits has given me the insight and expertise to navigate even the most challenging strategic and technology issues. Strong digital foundations will help your organization grow and thrive! Clearing the way for meaningful change. Method Works Consulting are experts in charity operations and administration. We work with charities like you to understand your needs and goals; then design the processes, systems, and data management strategies you need – to do what you do. Mightycause is a mission driven, employee owned business, that serves the nonprofit community by helping them with online fundraising and donor engagement since 2006. We have supported over 150,000 causes and have been the technology partner for hundreds of community-led Giving Days helping raise nearly six hundred million dollars – one small donation at a time. Mightycause is headquartered in Alexandria, VA. We provide a portfolio of state-of-the-art online and mobile products including; Online Fundraising, Donor Management, Team and Event Fundraising, Custom Donation Pages and Widgets, Giving Day Platform and Personal Crowdfunding. Qgiv is an online donation and event registration platform for nonprofits. With no-contract pricing, organizations can move freely between plan levels and experiment with a variety of fundraising tools like peer-to-peer events, text giving, campaign thermometers, recurring donations, and more. Qgiv’s team is passionate about making it easy for nonprofits to reach their goals, offering unlimited phone support and training to help tailor Qgiv’s highly customizable platform to meet every organization’s unique needs. Fundraising is not easy and the generosity of donors is critical to ensure your organization’s good work continues. Sargent Solutions Inc. has been working with non-profits for over 13 years – advising, training and coaching clients. With a focus on fundraising efforts, engaging donors and internal processes, we help raise more money for our organizations. SJ Consulting LLC is a Woman Owned Small Business (WOSB), founded in 2006 to provide website design/development, peer to peer fundraising, social media strategy/analytics, email campaigns, database management, and corporate partnerships, for non-profit, advocacy, and corporate responsibility clients globally. SJ Consulting has launched over 2,700 websites and helped our non-profit clients generate over $20 billion in online donations. We support Luminate Online/TeamRaiser, NetCommunity, BBIS, Raiser’s Edge, CRM, Drupal, WordPress, Kimbia, and many more platforms. Zobrio is the go to financial software consulting firm for organization facing complexities and issues beyond the occasional error. Emphasizing personalized on-site services, Zobrio’s team of experts design and implement financial solutions for organizations around the US. We understand Government and Non-Profits unique challenges and have been doing so since 1987.